Animals play a prominent role a Christmas, regardless of whether or not religious beliefs are behind it. 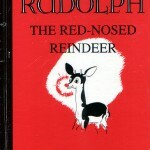 The story of Rudolph is but one example of an animal that has become an icon of the season. The truth is that there are many animals are central to the story of Christmas and reindeer especially are the consummate Christmas animal. As with all things Christmas we turn back to ancient history to find out why this is so. According to Viking lore, the northern Germans and Scandinavians celebrated Yule, a pagan religious festival heralding the arrival of the winter solstice from mid-December to early January. During this time, many believed that Odin, disguised in a long blue-hooded cloak, would travel to earth on his eight-legged horse, to observe homesteaders gathered around the campfires to see how content the people were and for those in need of food, he left his gifts of bread and disappeared. As traditions grew over time, the children of these lands would anticipate the arrival of gift-bearing Odin and would fill their boots with straw, carrots or sugar and place them near the fireplace so that the horse could come down to eat during his midnight rides. Odin would then reward these kind children by replacing the food with gifts and candy treats inside the boots. The connection of animals to Christmas have long focused on children. In fact, animals have been used in teaching the story of Christ’s birth to children for nearly 1000 years. This comes from the legendary tales of St. Francis of Assissi, who obtained permission from Pope Honorious III to set up a manager with hay and two live animals in a cave in a village in Italy. From that stage he preached to the villagers about the Babe of Bethlehem, engaging adult and children alike with his visual sermon. 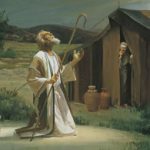 The idea of telling the Christmas story in this fashion married well with a popular practice of the time known as mystery or miracle plays. Since the Bible was largely available only in Latin at the time, priests had to do more to get the stories of the Bible out there in the common language of the people. So the little nativity scene St. Francis put together caught on as a trend and for the centuries since the Nativity has been depicted in scenes large and small ever since, in places all over the world. Animals have always had a central part in telling that story. 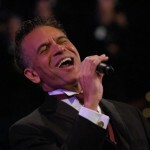 Brian Stokes Mitchell singing and portraying the Friendly Beasts of the nativity highlights precisely how animals have long been associated with the Christmas story. 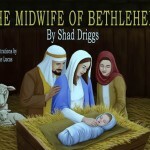 He sings of the donkey, the cow, the sheep and the dove in telling the story. Interestingly, the story in scripture mentions none of these. Other elements of a traditional nativity scene are also absent from scripture. 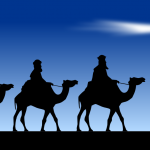 The New Testament gives a brief accounting of the Magi but if you read closely you know that the Magi were not present at the birth of Christ, but came much much later when the Christchild was more than two years old. And whether or not they came by camel is another fact more born of folklore than of scripture. Folklore also gives the animals a part to play each Christmas, with the tale in some ancient European traditions that animals are blessed with the gift of speech every Christmas eve, able in their own way to articulate praise to God and the Baby of Bethlehem. There are other animals associated with Christmas. Famously, Clement Clark Moore’s poem A Visit from St. Nicholas talks of eight tiny reindeer and that “not a creature was stirring, not even a mouse”, a phrase that would launch a million Christmas ornament designs more than 100 years later. The Christmas Spider, a bona fide insect of Christmas, is a celebrated tradition in Germany. The folk tale is told of a family working together in their small home to clean for Christmas Eve day and they cleaned it from top to bottom. All the spiders living in the house ventured to the attic to escape the broom and later that evening after all had gone to bed the spiders rejoiced that they had one ideal spot where they could spin their webs left in the house – the Christmas tree. This they did and with abandon they spun webs all over the tree, so much so that when Santa came he was presented with a dilemma – did he remove the webs from the tree for the family or did he save the webs and Christmas for the spiders in the process? Santa fixed everything by turning the spider webs into shimmering silver strands that brilliantly decorated the tree, thrilling the family and saving the spiders. It is from this Germanic folk tale that the tradition of tinsel is explained.